Through a generous grant from the Coleman foundation, the Centre for Independence, located in Illinois and the Governors State University were able to carry out a two year research project, investigating the effects of Conductive Educations on children’s functional skills. 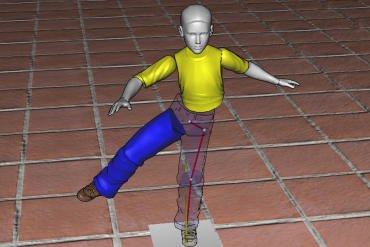 The grant allowed for a research lab to be built at the Centre for Independence, which employed motion capture technology to track the participant’s progress. The subjects attended 18 months of conductive education sessions. During this time their movements were recorded with specialized cameras and software. The study made use of six Vicon 8i cameras to collect data for the study. 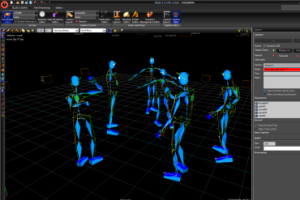 These motion capture cameras are the same kind used extensively in the movie and video game industry. The study focused on three functional movements; sit to stand, walking, and hand to mouth skills. The software was able to compare the client’s baseline movements to their final abilities at the end of the study. The data collected showed large improvements in the three areas that the study focused on. This information is vitally important to conductive education’s development in North America for many reasons. Firstly, because of the data collection methods used, there is little room for debate in regards to the validity of the findings. Secondly, there is a severe lack of evidence based, quantitative studies done on conductive education in North America. It is these types of studies that will help conductive education garner more respect within the medical and rehabilitative communities, and open up more possibilities for the potential of funding through private insurance companies and the government.